How do you make sure your app maintains a high average star rating in the app store and why is it important? We enlisted the help of former NaturalMotion CFO and veteran of several major app store successes to help shed light on the art of user review analysis. At NaturalMotion, Adam was responsible for building and running the Data Science, Analytics and User Acquisition teams during the successful launch of more than ten #1 hits. NaturalMotion’s biggest franchise (CSR Racing) has hundreds of millions of downloads and maintains an average 4.6 review score from over 3m reviews. Why Is a High Star Rating So Important? Install Volume – People really do get turned off downloading your game if the rating is low. Once you start to dip below 4 stars, the conversion from app store views to installs drops. User Acquisition Costs – If your App Store view to install conversion drops by 50%, your CPI (cost per install) bid needs to be double to get the same placement in an advertisers eCPM (effective cost per mille/thousand) waterfall. Not only do you now have to buy more installs, each install costs more. Apple & Google Featuring – if your game has a bad review score, the chances of you being picked up for featuring are negligible. Charting Double Whammy – not only does a low review score lead to lower installs and therefore a lower chart position, there is also empirical evidence that review scores may affect chart algorithms in addition – hence the double whammy. Lets think about how users naturally come to review your app (i.e. without any prompting). The most highly motivated group is your core haters: the <1% of people who have crashes, can’t install the app, don’t like your monetisation, have lost game progress etc. The next group are core reviewers (<1%): people who believe in giving good or balanced reviews. The other 98%+ people are non reviewers: they are enjoying playing your game or have quit already. Now lets mix 50 reviews from core haters (1*) with 50 reviews from core reviewers (4.5*). You have just ended up with a 2.75* average. The key point? Nudge non reviewers into action and drown out the core haters. So, we know that review volume drowns out core haters. The Perfection Trap is something most developers fall into — only prompting people they “know” are going to leave a good review. For example, if my player has reached the level 10 boss and has played every day for 7 days: they’re definitely enjoying the game. I know they’re going to love it… But – what if this only represents 5% of your installs? (even before you factor in that only a tiny fraction of those users that will actually leave a review). Fail! — The only thing you’ve managed to do is to cut out 19 out of every 20 reviewers from helping drown out the core haters. Start to nudge people from around 10 minutes into the game to leave a review (this maximises review volume). Design the review process as an integral part of your game. If you’ve got a game character that can graciously prompt a review: use this. Pre-filter by asking a user if they’re enjoying the game: if not, send them to your customer support (but make sure you can respond to this). Use gentle internal filtering: avoid asking users to review if you know they’ve had a crash recently. On iOS: update your App to use the new Apple App Store review API. This is seamless to your user – it enables them to submit a rating without leaving your game. Don’t incentivise reviews via in-game currency. This classifies as chart manipulation and can result in app banning. Under iOS11, the App Store has changed so that you can choose to show an average review score over all time. This is in addition to a mandate that you must use the new review API (limited to three times per user every 12 months and only if they haven’t already left a review via this method). In my opinion: these are both great changes. But, this doesn’t affect the core message: you need to maximise the volume of reviews (particularly as reviews are only shown per country). There are two key indicators you should track: 1) Overall review score; 2) Volume of negative reviews. Both should be tracked as an average over the last week and in particular, keep a close watch on #2 around app updates. Don’t be complacent if your volume of reviews makes #1 good: #2 is your real indicator. Use automated tools such as Reflection.io to actively review and monitor both items. In particular, use the review word cloud investigator to help identify issues and aim to get fixes out within a week. Keep prompting users to leave a review during bad periods (unless the bug affects everyone) – the review volume always helps. A high star rating generates more downloads (greater conversion rate) and also lowers user acquisition costs. Aim for a minimum 4.5 star average rating. Volume is the key factor that determines average review scores. Ask for reviews early and often from your latest users. Happy customers have to be encouraged to leave reviews, disgruntled ones don’t. 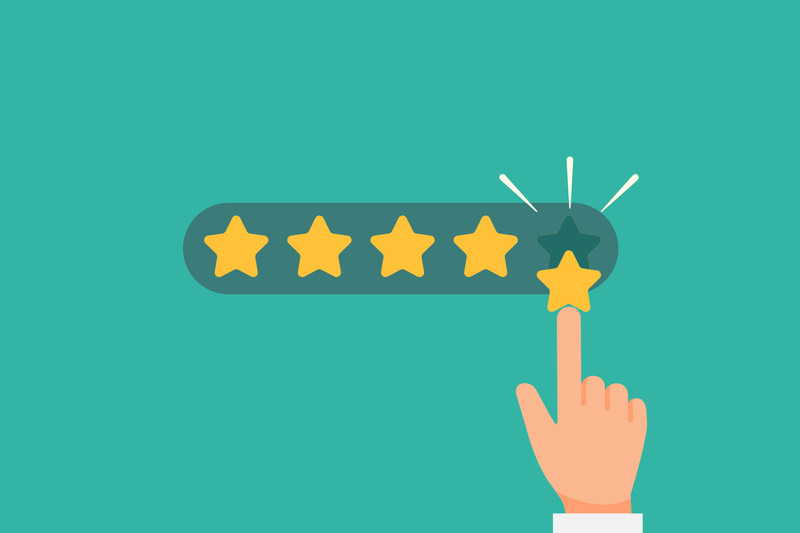 Keep an eye out for a sudden increase in negative reviews, a drop in revenue or a drop in your average rating, these all indicate your users have a serious issue. Use this tool to help do this. Thank you very much to Adam Whittaker for his sage advice on user review analysis and the importance of maintaining high app store ratings. Hopefully you can put some of these techniques to work immediately in your own apps. Please let us know how you get on or if you have any further questions, we’re all ears.